These trends are frightening. More and more young adults are becoming enslaved to their loans. The thought of free college at any level has always been a radical, and a “completely unrealistic” idea, but now, it’s become a reality for some here at CCBC. 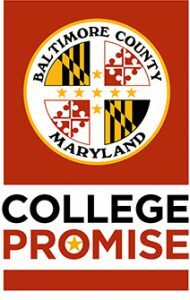 In March of 2018, the executives of Baltimore County approved the College Promise Program, the first of its kind in Maryland. This program is a needs-based scholarship that guarantees free tuition for qualified students. Yes, free. Let me say it again, FREE. Be a Baltimore County resident. Be a graduate of a public, parochial or private high school within the past two years, with a GPA of 2.5 or better. Be a home school graduate within the past two years and have earned a GED score of at least 165. Have an adjusted gross household income of $69,000 or less. Although I personally am not eligible for the program, there are many out there who are. Okay, it seems pretty straightforward, so why do we keep talking about it? It’s because the program hadn’t been approved until so late into the year, so CCBC had relatively little time to advertise it, and as a result, many students missed the memo and registered and paid for their classes before they found out they could’ve been eligible for free tuition. To add to that, there may have been individuals who did not start college this fall because they couldn’t afford it, but meet the requirements for the program. According to a meeting I attended with Dr. Kurtinitis back in the summer, 1 million dollars had been set aside by the county to pay for this program, and a rather large portion of it had gone unused for the fall semester. The president hopes that with more advertising and outreach, by the spring semester we will be putting every single dollar of that million to good use. Please, please, please check to see whether you are eligible for the College Promise program. It’s literally free money. For those who are not Baltimore County residents, don’t lose hope yet! Governor Larry Hogan just approved and signed the Maryland Promise Scholarship, which will provide guaranteed tuition assistance to in-state students attending community colleges all over the state. This program will go into effect in 2019. On top of that, the governor has introduced another promise program that will guarantee free tuition to those who took advantage of the Maryland Promise Program, and moved onto a 4-year institute. Provided that this program is approved, for the first time ever, students will be able to obtain a bachelor’s degree FOR FREE on a needs-based scholarship. Things are looking bright for the future of students in Maryland.